Single location in the municipality Escherndorf (area Maindreieck) in the German growing area Franconia, In 1688 the location "Am Rags" was less than one hectare in size, the present size was by supplement of the three layers of mountain climbing, Katzensteig and Oelgrube in 1912 as well as further changes in the Land Consolidation Reached in 1970. The name most likely goes back to the miserable appearance of this lingering hillside after heavy downpours. The southeast to south-southwest to the Main steep vineyards 190 to 270 meters above sea level with 40 to 75% slope slope in a wide arc around the municipality Escherndorf around. 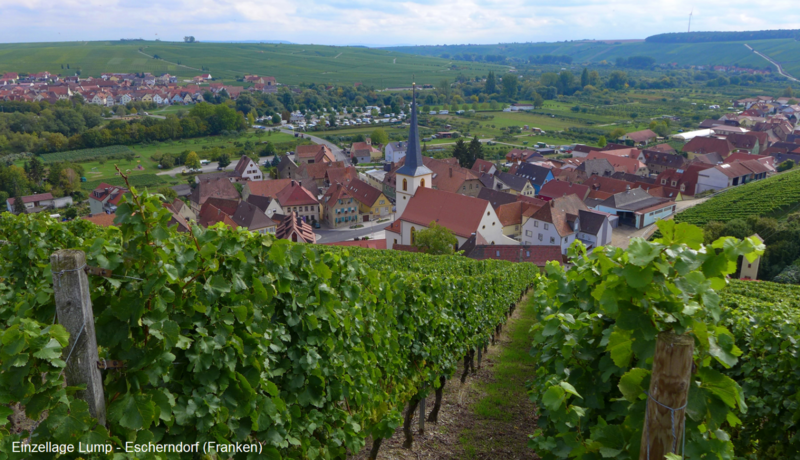 They cover 37 hectares of vineyards on shell limestone soils with deposits of Lettenkeuper and Lösslehmschichten in the western part. This page was last modified at 2 March 2018 at 11:25.